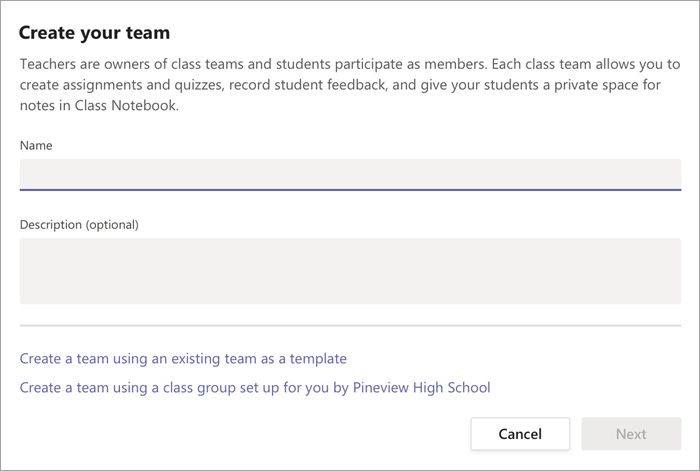 Classes are a team with unique permissions for teachers and students. As owners of the team, teachers assign and review work and create channels and files. 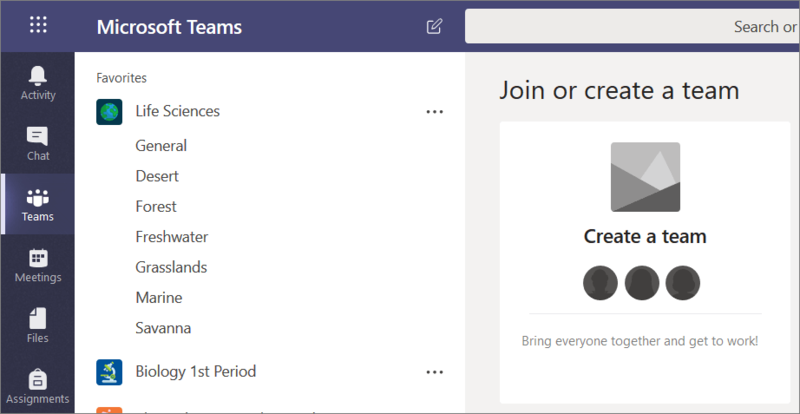 Each class team is also linked to its own OneNote Class Notebook. Select Add team at the bottom of your teams list. Select Classes as the team. Enter a name for your class. Enter a description then select Next. For example: Ms. Gustyte, 3rd period, meets in room 301. Once you've created your class team, follow the steps to add your students as team members.